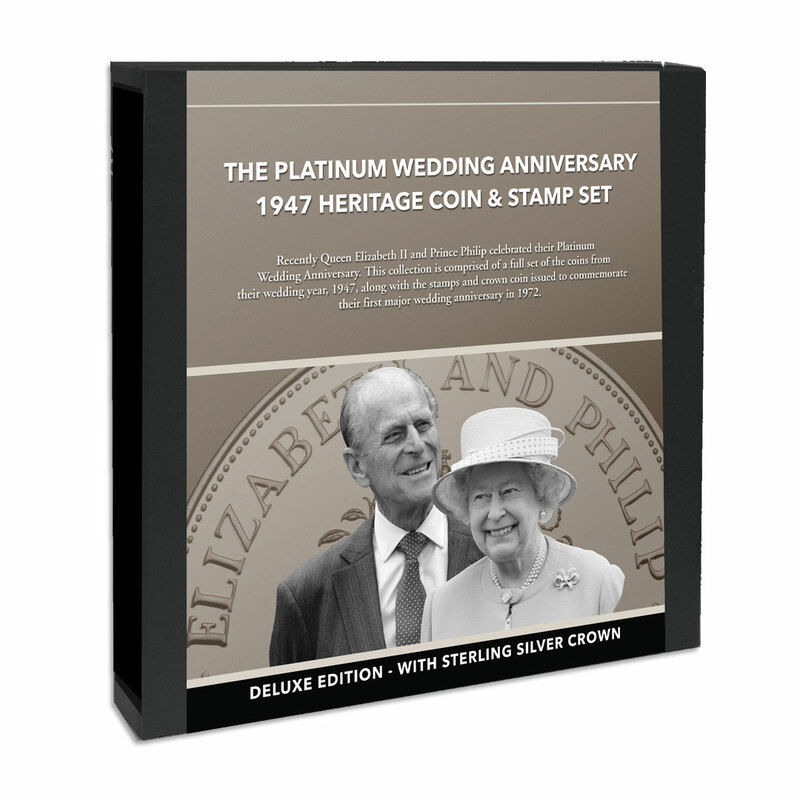 The Platinum Wedding Anniversary 1947 Heritage Coin and Stamp Set – In 2017, Queen Elizabeth II and Prince Philip celebrated their Platinum Wedding Anniversary. They were married in 1947, in the midst of post-war austerity, and no commemorative coins were issued at that time. 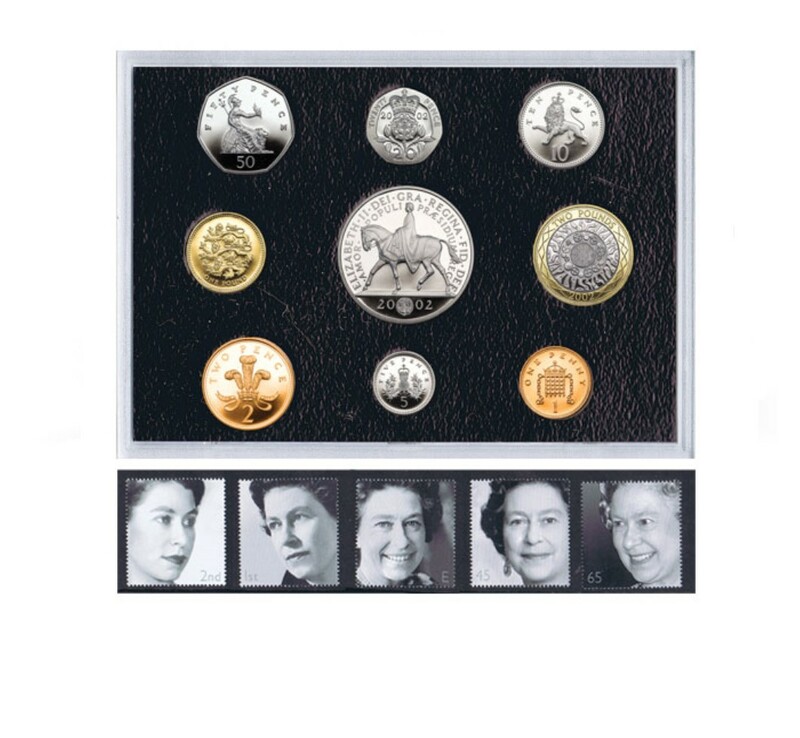 In celebration of their wedding, this collection includes a full set of the British coins from their wedding year, 1947, along with the stamps and crown coin issued to commemorate their first major wedding anniversary in 1972. 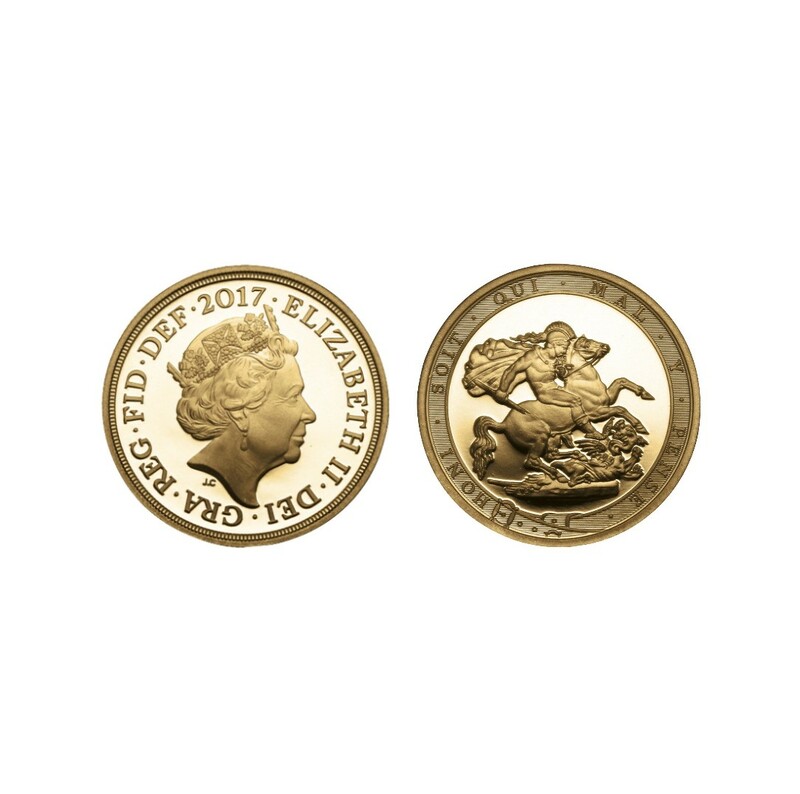 The crown coin is the first British coin ever issued in celebration of a Royal Wedding Anniversary making it of great significance to collectors. 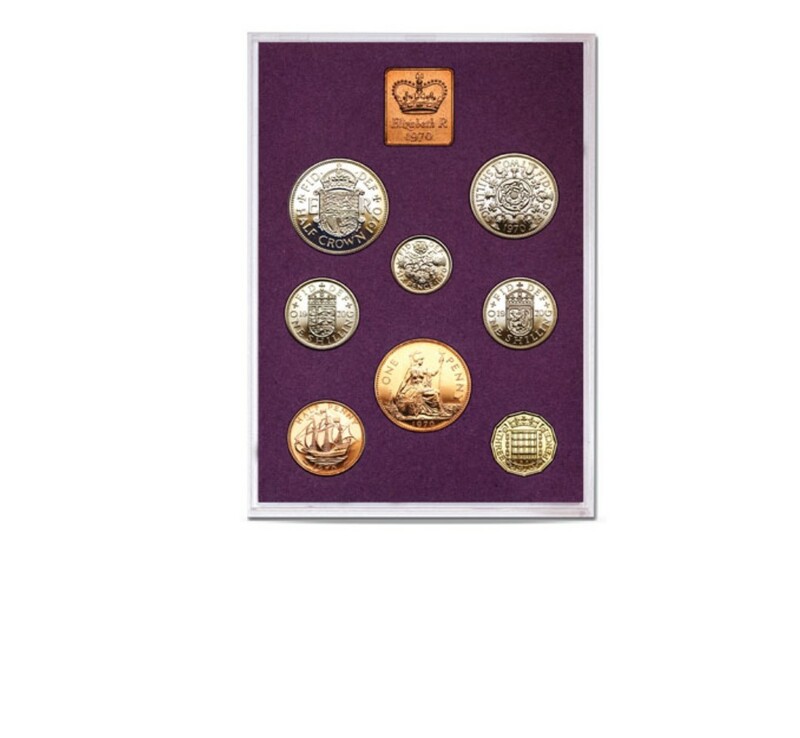 Her Majesty was not a monarch when she and Prince Philip were married in 1947 so no commemorative coins were struck – however, this set includes a COMPLETE line-up of the British coins from 1947: farthing, halfpenny, penny, sixpence, both English and Scottish shillings, florin and halfcrown. 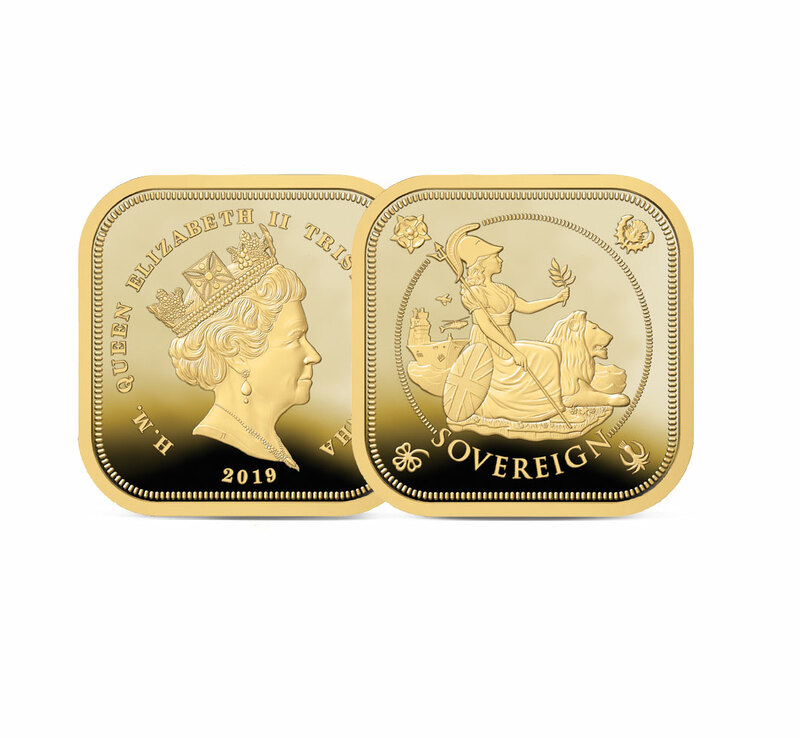 These coins bring alive the year of Her Majesty’s wedding. These coins belong to Britain’s predecimal past. Their designs evoke fond memories of a time when twelve pennies made a shilling and twenty shillings made a pound. Today, having lived with decimal currency for over half a century, that coinage system seems distant, but it’s worth remembering that pounds, shillings and pence had been in use for over a thousand years. 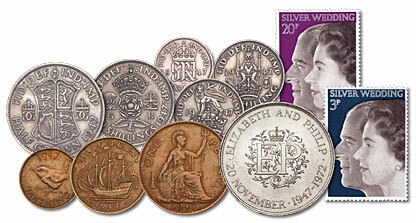 In 1972 Her Majesty Queen Elizabeth II and HRH Prince Philip celebrated their Silver Wedding (25th) Anniversary. 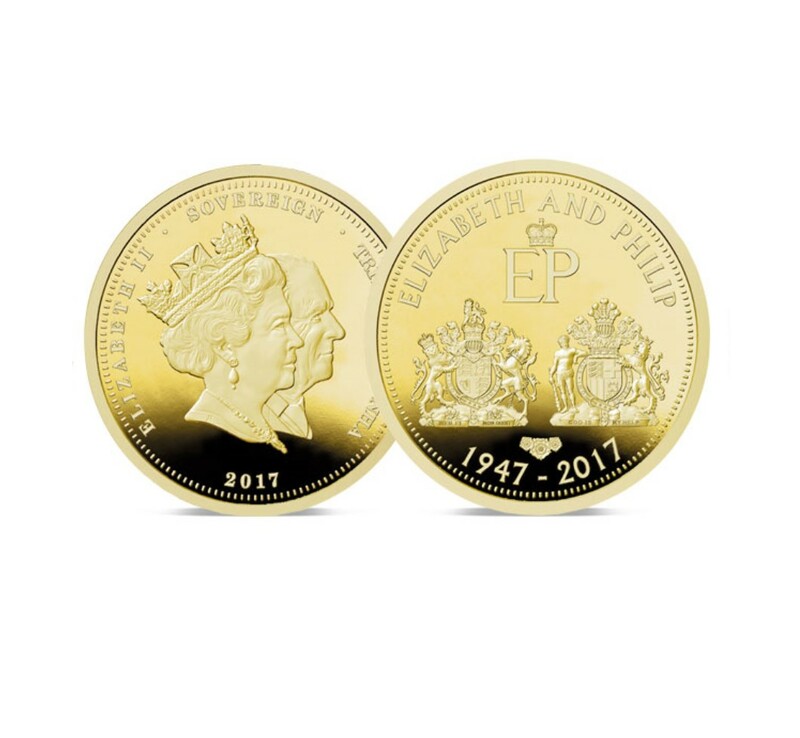 They had been married in 1947 and at the time no British coin was issued to celebrate the event. 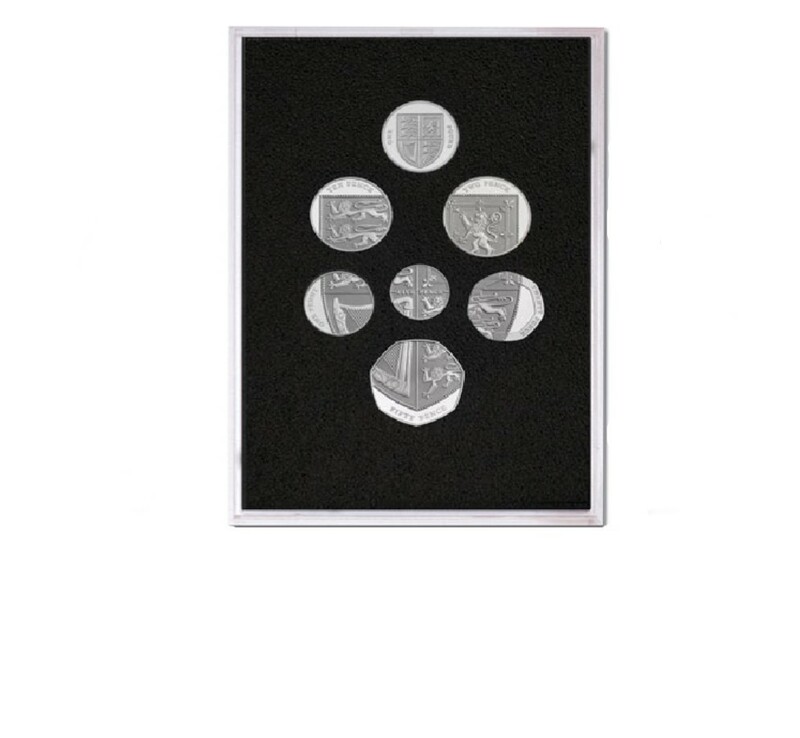 However, in 1972 it was decided to celebrate their anniversary with the issue of a commemorative crown coin. The crown coin of 1972 was the first British crown ever to celebrate a royal marriage or anniversary. 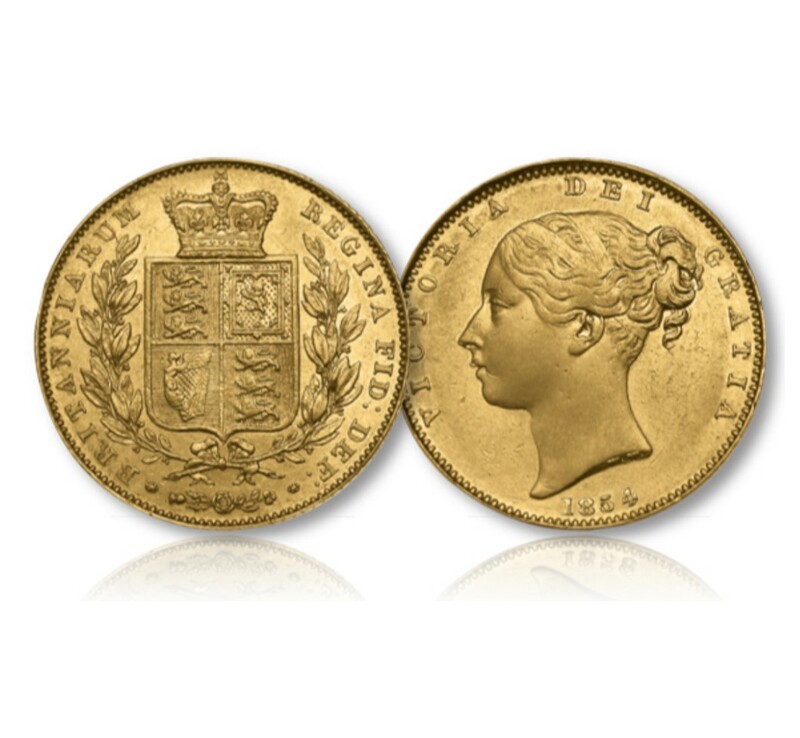 It was also the very first crown coin of the decimal era. In 1972 two stamps were designed as commemoratives to celebrate the Silver Wedding Anniversary. They were designed by Jeffery Mathews, one of the foremost designers of stamps in Queen Elizabeth II’s reign.